It’s how you work, not where, that defines today’s workplace. Collabe helps teams coordinate anywhere, anytime and on any device. Recently launched, Collabe aims to deliver that elusive, perfect mix of flexibility and organization that lets teams get work done with optimal efficiency. Availability across all platforms and devices starts Collabe off on the right foot. Slack users will find noticeable similarities, which isn’t a bad thing – many of us have adopted Slack as our preferred communication tool. For Collabe’s part, it allows users to form teams, public and private groups, much like channels on Slack. More visible and orderly than email, these rooms serve as a convenient meeting place for exchanging information. A simple but incredibly useful feature that Collabe has added to it’s recipe for a communication platform is a notepad where you can take notes (project notes, task notes, etc.) without switching to another tool. This saves time and prevents later hassles searching through files and other applications to find relevant details. What’s more, there’s need for yet another tool to make a checklist. You can do so right here. Keeping data close to where conversations take place is one of the bright perks of Collabe, as all of your images, videos, files and links – shared with a single click – simultaneously get stored in a separate “Shared” folder, which is easy to access and search at anytime. Shared items remain synchronized, ensuring that teams collaborate on the latest additions. Another thoughtful consideration is the ability to star conversations as favorites. This avoids key information from disappearing into the sea of chats, and lets users quickly revisit standout exchanges whenever necessary. At a glance, you won’t find revolutionary new options here, which isn’t a complaint. Collabe provides many of the features we’ve come to expect of project management/productivity/team discussion/planning tools but with much less fanfare. Which makes it easy to use. The more you add, the harder it is to keep things simple, and Collabe shows no signs of straining. It offers a single tool for intuitively coordinating work and communicating with your team. 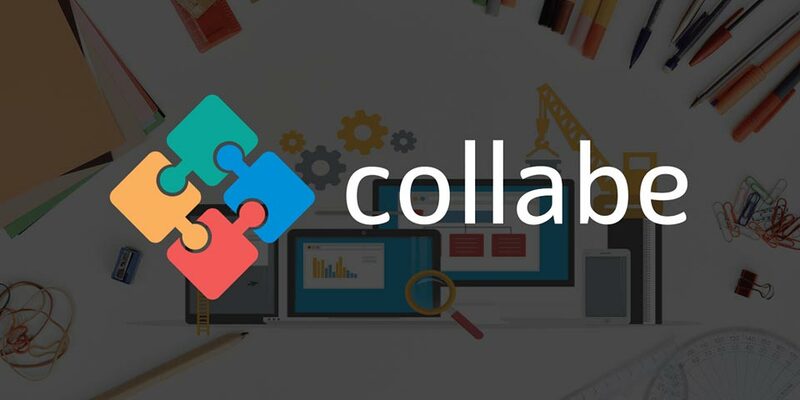 Take advantage of the freemium plan currently offered and see if Collabe is perfect for your team by signing up on the company’s website here.